The Federal Open Market Committee (“FOMC”) raised the Federal Funds Target Rate by .25% from .50% to .75%. The Federal Funds Target Rate is the interest rate charged to financial institutions for the trading they do with each other overnight. The last time they had raised rates was in December 2015 when the Fed had Liftoff. The last time before that was in June 2006. This was almost a decade earlier. 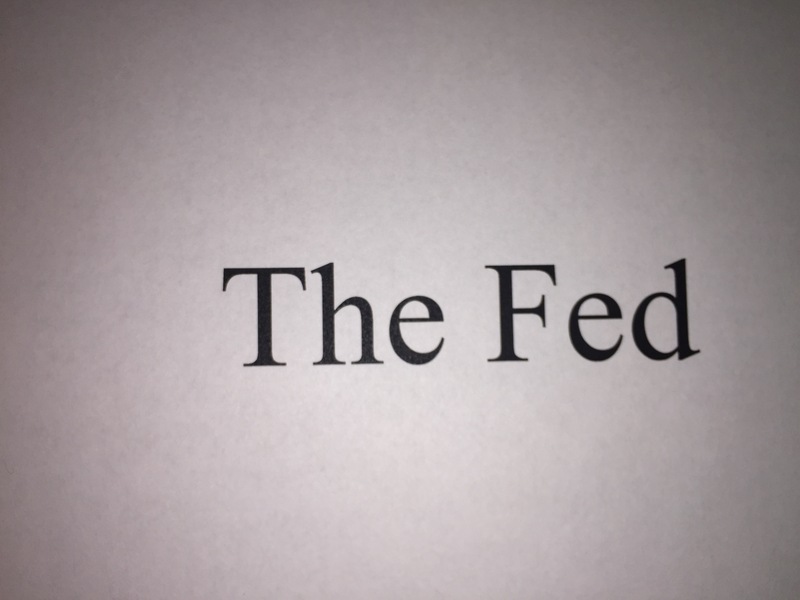 The FOMC is a committee within the Federal Reserve Board (“The Fed”) that is responsible for its so-called Open Market Operations. This is the process of buying and selling of U.S. Treasury Securities. It’s not a huge surprise they finally raised interest rates again. When they met in September it was All Eyes Are on the Fed. Then when the minutes from their September meeting were released in October they indicated they would be raising rates ‘relatively soon.’ The next meeting they had was in November. However, with the Presidential Election just a week after this meeting they weren’t about to raise interest rates. What they could have said when they released the minutes was ‘relatively soon after the election.’ It would have been simpler and quicker however to just say ‘December.’ Keep in mind we are told that the Fed isn’t, ahem, a political organization. You know, wink, wink, smile, and smile. Cutting interest rates to near zero was one of the government’s responses to the Great Recession of 2008-2009. Saying recession however might be a misnomer. It reminds me of when I was back in high school and my dad asked me what the difference was between a recession and a depression. Naturally I had no clue. His answer was that a recession is when your neighbor is out of work and a depression is when you are out of work. Well said dad. He also said, Things Are More Expensive When You Pay for Them Yourself. But that’s another story. According to the Bureau of Labor Statistics, employment declined by 8.8 million from the prerecession peak. 1) That’s a lot of job losses. For many it was a depression. Lehman Brothers became the poster child of the recession when it declared bankruptcy in September 2008. It remains the largest bankruptcy in the U.S. at $691 billion. The other major response from the government was to implement Quantitative Easing (“QE”). This is where they would buy U.S. Treasuries. They ran four separate QE programs and expanded their balance sheet from about $900 billion to approximately $4.5 trillion in 2016. 2) The concept of these programs was that the Fed would create funds to purchase securities from financial institutions. The theory was this would reduce interest rates. The lower interest rates were an incentive for consumers and businesses to be more inclined to spend money which would expand the economy. The Fed has a Dual Mandate. These two mandates are moderate interest rates and maximum employment. As was mentioned before, interest rates have been near zero for almost eight years. If near zero interest rates are considered to be ‘moderate’ the Fed should get a gold star. The Fed is led by Chairwomen Janet Yellen. She was the Vice chair under Chairman Ben Bernanke from 2010 – 2014. She became the top dog in 2015. She has had some difficulty in getting the members of the FOMC on the same page. Given where we were during the Great Recession of 2008 – 2009 and where we have come, you can see why there are disagreements. It’s difficult to get any committee to agree on anything. Let alone getting 17 folks on this committee to agree what interest rates should be. The committee has both what are known as Hawks and Doves. The Hawks are more concerned with keeping inflation low. The Doves are more concerned with keeping unemployment low as opposed to lower inflation. Interest rates had been coming down. The Prime Interest Rate, the rate banks charge their best customers, was 7.75% in 2007. In 2016 it is 3.5%. The decrease in interest rates has made it easier for consumers, businesses and the government to service their debt. A major concern of keeping interest rates artificially low is possibly creating bubbles in other asset classes. Equity markets have been a beneficiary of near zero interest rates. The Standard and Poor’s 500 Index (S&P 500), the broadest measure of the market closed at a low 666 in March 2009. It’s most recent high in 2016 was 2,194. It’s not clear this is a bubble but it certainly has been a heck of a run. Employment has been a positive development in the U.S. Unemployment peaked during the recession in October 2009 at 10%. It has come down to 5% in 2016. This is the official rate that is published by the government known as U-3. A 5% unemployment rate is generally considered ‘full employment’ by the Fed. The impact on borrows of course is that borrowing just got a little more expensive. Not a positive development for borrowers. Borrowers have had it real good for a long period of time. An interest rate increase makes the monthly payments a little higher. This means there is a few less disposable dollars to go around. This might mean one less trip to your favorite local restaurant. Or, perhaps you might have to, god forbid, cut back on your daily trip to Starbucks (SBUX). For homeowners however due to rising interest rates it might be time for The Last Mortgage Refinance. Savvy issuers of corporate debt have been loading up the past few years with rates being near zero. Dell issued $20 billion of debt to take over EMC and Microsoft (MSFT) issued $19.75 billion of debt to take over LinkedIn (LI). Fixed income investors may finally be able to crack a smile. Although it won’t be a big smile and it won’t last for long. Interest rates have finally gone up. But the reality is that interest rates are still near zero. It’s still difficult to make a case for investing in CD’s. Back in the day fixed income investors could ladder a series of CD’s to help them with their fixed income allocation in retirement. Today, investing in CD’s with rates still near zero not so much. 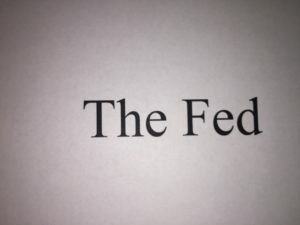 The Feds’ move to increase interest rates is in conflict with almost all of the other major Central Banks around the globe. The Bank of Japan (“BOJ”) and the European Central Bank (“ECB”) have been cutting their interest rates. They have gotten so good at cutting their interest rates that their interest rates are negative. Repeat their interest rates are negative. What’s that expression? Practice makes perfect. Tons of practice cutting interest rates by these Central Banks has moved their interest rates to subzero. And you thought you could only get subzero refrigerators! The U.S. was quick to reduce interest rates and implement their QE programs. They kicked off their first QE program in 2008 and ran four of these through 2014. The Bank of England quickly followed the U.S. with their QE plan in 2009. Then the BOJ, which had run their first QE program from 2001-2006 implemented another one in 2012. The ECB was very late to the party and introduced their QE plan in 2015. This slow response has clearly hurt Europe. The FOMC will meet again on January 31, 2017. Then they will meet again in March. And then they will meet, well you get the idea. The FOMC meets a lot. They meet eight times a year to be exact. One increase in interest rates a year after the last increase doesn’t make a trend. Or does it? The reality is that interest rates can go down, stay the same or go up. Which way are rates headed? Who knows? There was no increase in interest rates for almost a decade. Then two modest rate increases in year. The trend is clearly up. The pace appears to be glacial. CDs are insured by the FDIC and offer a fixed rate of return, whereas the return and principal value of investment securities fluctuate with changes in market conditions. The S & P 500 is an unmanaged index of 500 widely held stocks that is generally considered representative of the U. S. stock market. Keep in mind that individuals cannot invest directly in any index, and index performance does not include transaction costs or other fees, which will affect actual investment performance. Individual investor’s results will vary. Past performance does not guarantee future results. The information contained in this report does not purport to be a complete description of the securities, markets or developments referred to in this material. The information has been obtained from sources considered to be reliable, but we do not guarantee that the foregoing material is accurate or complete. Any opinions are those of Thomas F. Scanlon and not necessarily those of Raymond James. Investing involves rise and you may incur a profit or loss regardless of strategy selected.